Note: this is a longer version of an article first published at The Conservative Woman on 3rd November 2017. 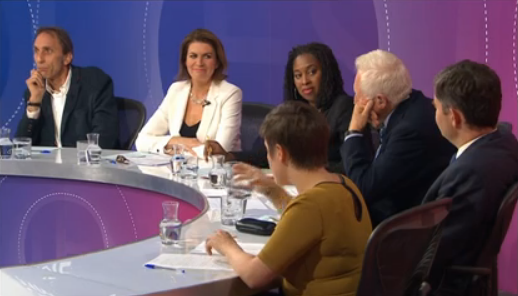 Complaints about the sometimes blatant left-‘liberal’, pro-EU, pro-Green bias of BBC Question Time, in the selection of questions, panels and audiences, are perennial. However, they have recently been given significant backing, at least as far as allegations of the programme’s institutional anti-Brexit bias is concerned, by some old-fashioned investigative journalism. Briefly, he suggests panels with fewer politicians, largely ignoring those from outside the two main parties, and spending more time on “major topics”: but, significantly, he also favours inviting more experts, academics and scientists “who know their subject inside out”, to explain things more clearly. There are some glaring flaws with this. Presumably, however, the current BBC – apparently so out of touch with the vast majority of the country that doesn’t inhabit the politico-media bubbles of Westminster, North and West London that it was utterly shocked by the EU Referendum result – would think we non-metropolitan proles would be too dim to notice them. First, as we’ve had demonstrated to us all too vividly over the past two years especially, but also before that, the so-called “experts” are frequently – and sometimes spectacularly – wrong. In the early 2000s, the CBI experts harangued us that for the UK not to join the Euro would be a disaster. They were wrong: the true disaster has been near 40% youth unemployment in the Southern Europe’s economies. In 2009, economics expert David Blanchflower predicted 5 million unemployed if UK public spending was cut. He was wrong too. 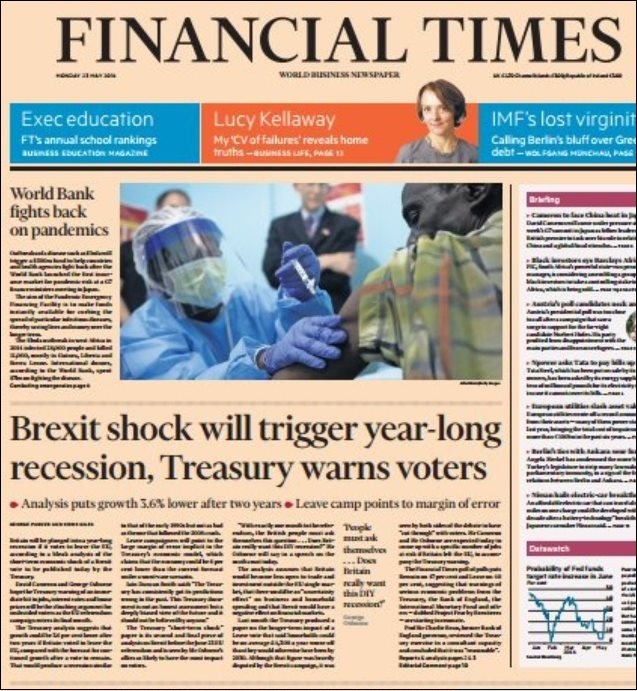 In the EU Referendum, the Treasury experts, echoed by their tame and equally pro-Remain media courtiers, warned us a year-long recession would follow a Leave vote. They were wrong. Central banking expert and Bank of England Governor Mark Carney assured us of an “immediate and profound economic shock” which would follow even a vote to Leave. One didn’t. The polling experts told us a defeat for Remain was unthinkable. How did that work out? “Pensions expert” Baroness Ros Altmann (still, incidentally, using her peerage in the unelected House of Lords to try and derail Brexit), predicted a fall in equity markets after a Leave vote. They rose instead. Next, apart from their prediction errors, the experts, academics and scientists are just as prone to biases in their judgements as politicians. 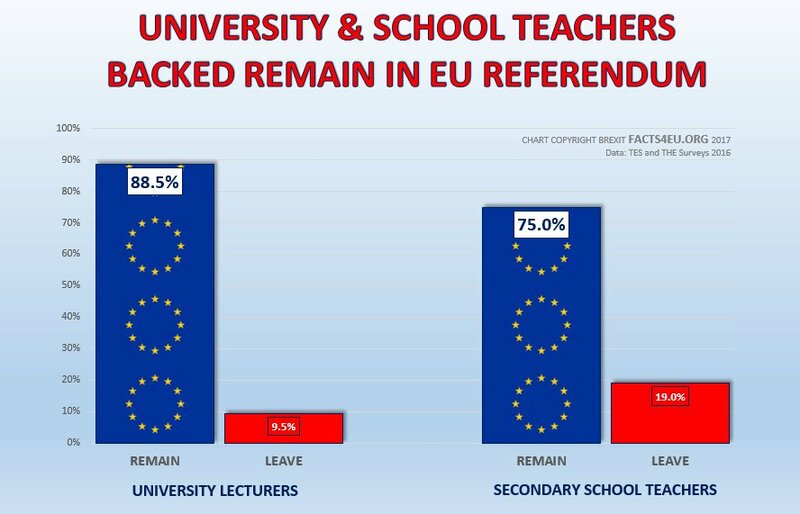 I wrote on this site only a month ago of the massive Left-‘Liberal’-Green bias among UK Academia, and particularly of its pro-EU bias. Can you imagine it would risk having Economists For Free Trade’s Professor Patrick Minford on a panel, countering a Remainer politician by explaining how post-Brexit Britain, outside both the EU Single Market and Customs Union, would actually thrive under free trade? Or the Global Warming Policy Foundation’s Dr Benny Peiser, highlighting the physical-science flaws in the Green climate-change consensus, showing there’s no established causal link between atmospheric CO2 and global temperature, and describing how the temperature records data used to back the CO2→AGW theory is “adjusted”? There are other objections, too. It would be interesting to analyse all the questions asked on Question Time over, say, the last two years, so as to place them in one or other of these two categories: my guess would be that between half and two-thirds were questions whose answer had to be based on a value or moral judgment, in contrast to factual data or empirical evidence. In other words, purely political. To illustrate this, take the issue of votes for prisoners, now back in the spotlight as a result of the May Government’s reported preparedness to relax the restrictions for some types of prison inmates. You could be presented with all kinds of evidence from social scientist or an academic expert in the criminal policy field, in the form of data on, for example, the success or failure of rehabilitation strategies, or re-offending rates, or practice in other countries, and they might influence your opinion to a greater or lesser degree. But in the end, your view on the issue surely comes down to the value judgment of whether or not you believe that the judicial penalty for an offence serious enough to warrant a prison sentence should also include withdrawal of a prisoner’s civic right to the franchise for the duration of the sentence. As suggested above, this is purely political. Which leads on to two other factors. Although there’s been a constant trend in recent decades of elected politicians outsourcing their legislative and even administrative decision-making powers to unaccountable outside bodies – whether externally such as to the EU and UN or domestically to tribunals, quangos and NGOs – actual policymaking still largely rests with them, certainly more than it does with academics and “experts”. So shouldn’t it therefore be primarily the politicians’ views that we need to ascertain, certainly on what, for all its faults, is the most-watched political programme? We have precious few means and opportunites to even semi-hold them to account, isolated from their party scripts and special advisers, as it is: that shouldn’t be diluted further by replacing them with substitutes who are immune from democratic verdict. Padding Question Time panels with experts and academics, though, is the wrong answer, and on several levels: not least that it substitutes bias from one source with bias from another, less easily discernable, one.